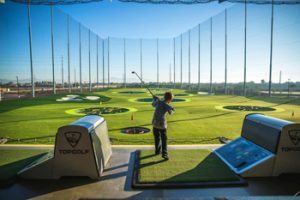 Topgolf Wood Dale is the premier golf entertainment complex where the competition of sport meets your favorite local hangout spot. This premier entertainment and event venue in Wood Dale offers fun point-scoring golf games for all skill levels, upscale bar food and drinks, music and more! Fun for All Skill Levels and No golf experience required! Visit their website for more information, hours and location or call(630) 595-4653. For Birthday Party information or events Click Here.